Master the mind/muscle technique to gain more mass and build a balanced physique. There’s one elite-level training technique which could take your training results from humdrum to stellar… but you need to master it first. It’s nothing to do with exercise selection, rep ranges, or weight on the bar. And it’s everything to do with your mind. Let’s talk about mind/muscle connection and how to build muscle holistically. What is mind/muscle connection, how can we develop it, and why does it hold the secret to better muscle development? What Is The Mind/Muscle Connection? Lifting weights is about more than the physical motion of moving the bit of kit from A-B. Training might seem to be all about your muscles. But in fact it’s about your brain, too. Not only does the brain control the signals and impulses which move muscles. But your brain can be a powerful ally, making or breaking your training session. Think about the difference between your last amazing workout, and the time it felt like you were going through the motions. Your mind had the power to fire you up, increase focus, and let you train with more intensity… if you got it on side. How Does The Mind Work The Muscles? All voluntary movement in the body is controlled by the brain. Muscular contractions happen when the brain releases neurotransmitters which signal movement. These chemical signals crosses the synapses separating nerve from muscle and bind to receptors on the surface of muscle fibres. We’re not aware of this happening, but it’s a critical part of any movement that doesn’t happen involuntarily. Why Do You Need Better Mind/Muscle Connection? If you can improve the speed and strength of this communication, you can recruit more muscle fibres and get more specific with your training intensity. Even the smallest muscle group is made of numerous muscle fibres. Better mind/muscle connection means more muscle fibres are recruited with every rep, leading to smarter training and better results. Whenever you train a muscle group, you will use the primary mover (the target muscle that does the most work) and secondary movers (other muscles that come into play). Those secondary movers can be difficult to target, which is why we can have weak, small, or lagging body parts. Bringing up those smaller muscle groups – like rear delts or triceps – is always a challenge. You can throw more volume at them, increase training frequency, train them before other muscle groups or tag them onto the end of sessions. But it’s a great mind/muscle connection which will really help wake those muscle up and get them to grow. To get serious with mind/muscle connection, you need to bring some awareness to your training. No more swinging the weight about, getting to your target rep as soon as possible. Don’t focus on your music or think about your next meal. Think about the target muscle, the specific movement, and what you’re feeling – right now. Actually, mind/muscle connection starts before you even begin the rep. Send your mind to the muscle you want to work. Make tiny movements to engage the muscle. If you’re a competitive bodybuilder, try micro-posing the muscle to connect with it. Only then should you start the first rep. And you’ll need to keep that mental awareness locked into the muscle right through the eccentric and concentric phases of each rep. If you think that sounds exhausting, don’t panic. In real terms, developing and using mind/muscle connection doesn’t add much more time to your workouts. You’l soon have it down to a fine art. And if it all seems like too much effort, just remember that this means you’re training properly – not wasting your time in the gym. You might need to drop the weight as you get used to using mind/muscle connection. Your previous weights should feel pretty heavy if you get this technique right. So leave your ego at the door and focus on awareness, technique, and really tuning in to the muscle you want to work. Warm up with a very light weight and high reps (15+) to connect the brain to the muscle. Really try to feel the target muscle and build up to a point where you can switch it on. Squeeze at the top and pause to feel the contraction. Slow it down by using a 4040 tempo with very light weights. This will help you feel the connection with the target muscle before you get into your working sets. It can be useful to pose the target muscle between sets. Don’t use any weight for this, but flex and squeeze the muscle so you can feel it, isolate it, and get more blood into the muscle. Developing a mind/muscle connection is similar to a track athlete getting into the zone before a race. Consider it part of your mental strategy for every training session. You’ll be rewarded with more effective workouts, better muscle development, and a pro-level knowledge of your own physique. 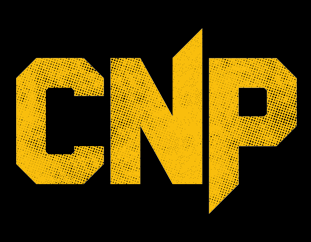 Support your muscle building goals with CNP Professional Muscle Growth & Recovery range of supplements and protein shakes.